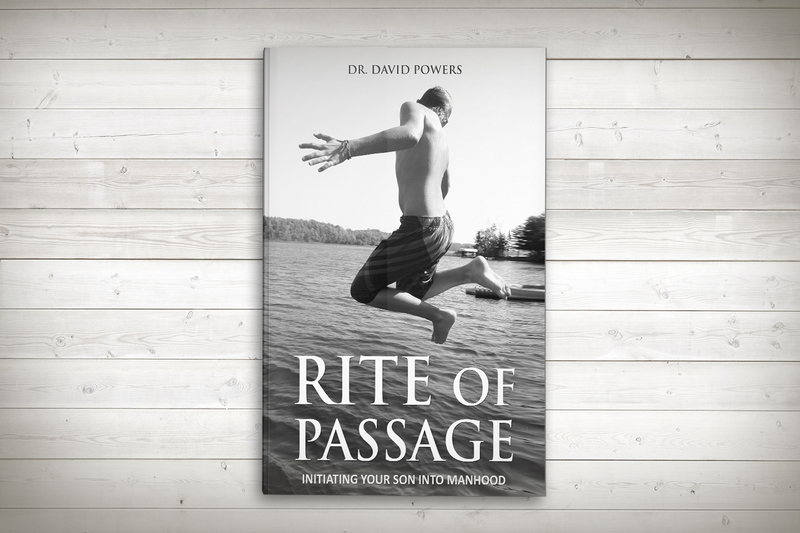 I wanted to publish the invitation letters I used and also mentioned in my book Rite of Passage- Initiating Your Son into Manhood. This way, if you want to copy and paste them to modify them for your own use, it will be easier. All the letters and reminders I used and mentioned in the book are posted below. *Please read them word-for-word as you modify them. Some readers have told me of words they missed that applied to my event, but simply won’t work for yours. (1) Write a letter to ____________ that addresses growing into mature manhood and includes a selected passage of Scripture, a life lesson that you have personally learned, and a word of blessing. This is the most important aspect of the ceremony, as _____________ will treasure these letters as he grows. (2) Commit to pray for ___________ during this time, asking that God will reveal His perfect plan for him. (3) Provide a small gift that is symbolic or has particular meaning for a young man growing up. This may be a book, something crafted by hand, a plaque or picture, a knife, etc. Please understand that the emphasis here is on the symbolic meaning, not on the gift itself. (4) Attend the ceremony if you are able. It will be held on __________ the ______ at ____________ from ____ to ______. Food and beverages will be served at the gathering. (5) God may give you another way on how to bless this fine young man. Please feel free to be creative. I realize that the ____ is drawing close, and I am giving you short notice. Please forgive me for this. If you cannot attend, you may send your letters or gifts to me at my home and address all correspondence to me. Although the celebration is not a complete surprise to _________, he does not know the full scale of the event and will not receive gifts or letters until that night. If you need to e-mail a letter, you may send it to my personal e-mail address, and I will print it out for that night. I am indebted to you for your kindness and your influence in both mine and __________’s life. If I can return the favor for a special young person in your life , just say the word, and I will respond. I want to thank you in advance for helping me to send this fine young man into God’s plan for his life! Please call me if you have any questions. Men, this message is only going out to a few of you who are special to me and Abishai. I need your help for an upcoming event for him. In about six months my oldest son Abishai will be turning 13 years old. Shortly after his birthday in July, we will be holding a Rite of Passage ceremony to welcome him into manhood. This ceremony will be a time for other men to welcome him “to a seat at the table”. A seat at the table is a term meaning that a young man was allowed to sit and converse with other men as an equal, albeit an inexperienced one. Why a Rite of Passage? The age of thirteen doesn’t mean that he will automatically be a mature man at that age. Certainly not. Maturity comes with age and experience, and we can all attest that some men never reach that level of manhood. In this time and culture men are often left without a clear mark in time when they became a man and were expected to act as such. Many men relate manhood to their first beer, the age of eighteen, a first sexual experience, or military service. This is arbitrary and unhelpful. At the age of thirteen, he will be physically capable of reproducing. This is an awesome responsibility and one taken lightly by many. It is because of this responsibility that myself and my wife Korrene have decided to mark a point in time where he is expected to behave as a man and grow into mature manhood. This letter is an advance notice for you. As a valued man in my life and Abishai’s life, I would like to invite you to take part in this ceremony either in person or from a distance (if you can’t make it to the event). I’ll stay in touch and let you know as soon as a date and location are decided, but it will be in mid-July. What books would you put on a required reading list for a young man? What areas of knowledge would you see as essential to become a mature young man? What skills do you believe a young man should know, at least at a novice level? Feel free to get in touch with me if you have any advice or information to offer. My contact information is below. If you wish for anything you tell me to remain confidential as to who it came from, please let me know. Only three more months until my son Abishai turns thirteen. We’ll hold his Rite of Passage celebration to welcome him to a seat at the table of men. I hope you will be able to participate either in person or in some other way. Right now, it is tentatively scheduled for July 15, 2017. One of the many things I’m doing for him is to assemble a Book of Knowledge. This Book of Knowledge will contain two main sections. One of them he already has access to. It contains information that I want him to know before the event, certain essential lessons that I feel he should have a proper grasp of at thirteen. I would also like to add a second section that you can help me with, and some of you have already done so. This second section will contain stories and advice from you, the valued men in our lives. What I need from you are stories and lessons that you can offer that will go into this book and enrich his journey into maturity. If you don’t mind, could you send me any personal material you feel should be included? With each entry in this Book of Knowledge I also plan on adding a short biography highlighting how we know each other to show him an example of the depth of how male friendships are made. For this bio, please feel free to add any information you would like represented that was formative for you, such as military experience, Boy Scouts, a religious conversion, or something about your family. In addition to your entries, I would also like for you to begin considering a gift of some kind. It does not have to be large or expensive. It just needs to be meaningful. An excellent example of a gift is one from my own life. It was an inexpensive pin that cost no more than a few dollars. On it was an eagle, a globe, and an anchor. It was a Marine Corps emblem handed to me at the end of Boot Camp by my Drill Instructor. That inexpensive pin was earned with a great measure of blood and sweat and I greatly revered the man who gave it to me. What token could you offer that would mean something to a young man? If you don’t feel like you will be able to make it to the event, please don’t worry. I still want you to participate. For the men who won’t be in attendance in person, I would like to play videos of you speaking into his life. Please start considering what you would like to say and feel free to send over a video at any time. Thank you so much for helping, and also for being a member of my fraternity of men. We’re two month’s out from my oldest son Abishai’s Rite of Passage event, so I wanted to send out another reminder. I really want this day to be special for him, and I need your help to do that. The big news is that I have a date and location. It will be July 15 at Audubon Acres in Chattanooga. Audubon is a 130 acre wildlife sanctuary near our home. They graciously gave me the use of their classroom facilities for the evening. The event will start in the afternoon with feats of strength. Abishai will be completing a physical fitness test consisting of push-ups, sit-ups, and a 3 mile run. Even better, all the men in attendance are welcome to join him or even motivate him from the sidelines. I may challenge him to a push-up contest myself, but I’ll leave the 3 mile run to some of you other guys. Feel free to let me know by e-mail, phone, or text if you are attending in person or not. So far, I’ve had some amazing responses from several best-selling authors in the Christian world, some friends and some who just wanted to bless him, even though we don’t know them personally. They’ve sent boxes of gifts and personal letters. I’m saving all of these for him to open at the event. I look forward to hearing from you and seeing you in July. PS…For those who are coming from out of town, I’ll send directions and hotel information in the next e-mail. We’ll be moving before then, but I’m not sure where yet. If I have a big enough yard or floor space, you’re more than welcome to stay with me in tents or in any open space in the house. We’re just a month out from my oldest son Abishai’s Rite of Passage celebration on July 15, 2017. There’s been a big change though, and I wanted to let everyone know in case it affects your plans to attend. We’re moving from Chattanooga TN to Surfside Beach SC this month, so the event will now be in Myrtle Beach SC. I’ll have a firm location for you soon. The really great news is that there is no shortage of hotels, Airbnb’s, and campgrounds to choose from. Or you could rent an entire beach house with its own pool! Here’s where I need your help. We’re pretty much at Go Time with the planning, and I need a firm commitment from you in the form of an RSVP if you can make it. This way I can plan on plenty of grub for everyone to eat and enough room that we can have some space to get rowdy if we need to. Feel free to let me know by e-mail, phone, or text if you are attending in person or not. If you can’t attend in person, I understand. All I ask is that you send him something for the event either way, like a video, handwritten letter, or a small gift. Once again the Rite of Passage celebration will be in Myrtle Beach SC on July 15, 2017. PS…If you’ve already sent something, all I need is your RSVP if you’ll make it to the event. Wow! In just a week, we’ll be celebrating my oldest son Abishai’s Rite of Passage ceremony on Saturday July 15. We just moved back to Myrtle Beach SC, so it’s been a little crazy getting the move underway and settled…and then prepping for his event. Saturday July 15 at 1900 hrs (7pm) until 2100 hrs (9pm). Friendship Baptist Church fellowship hall at 605 6th Ave S in Myrtle Beach. The church should pull up easy on your phone maps. Don’t worry, it’s not too close to the area now known as ‘Murder Beach’ here in town. Dress is casual, possibly even workout clothes, as you’ll see below. If you’re coming from out of town, there is no shortage of hotels, Airbnb’s, and campgrounds to choose from. Or you could rent an entire beach house with its own pool! Here’s where I need your help. Planning is done and it’s Go Time! I need a firm commitment from you in the form of an RSVP if you can make it. This way I can plan on plenty of grub for everyone to eat and enough room that we can have some space to get rowdy if we need to. If you’ve already told me, I have you on the list. We’ll begin with a physical fitness test for him, hence the casual dress for the event. It’ll consist of max push-ups in 2 minutes, max sit-ups in 2 minutes, and a 1.5 mile run. If you’re up to it, join him. He may even challenge some of you men to a push-up contest. The run would be a great time to go out for an easy jog and talk with him. Disclaimer- You are more than welcome to bring your sons, but ONLY if they’re 13 or older. I am hoping you’ve already had that series of awkward talks with your son if he is 13. ABSOLUTELY no women are invited. Men only! This way, we don’t have to be as careful what we talk about, and we’ll be perfectly free to be men. Men, I want to thank all of you for permitting me to flood your mailboxes and e-mail boxes with invites to my oldest son Abishai’s Rite of Passage event. This is the last time you’ll hear from me on it before I see some of you on Saturday. I just wanted to send out one last reminder. Friendship Baptist Church fellowship hall at 605 6th Ave S in Myrtle Beach. Dress is casual, even workout clothes. Last chance to send over a message or video for me to include in the ceremony. If you have something like that or a gift to drop off, please do it quick. We’ll begin with the PT test, hence the casual dress for the event. If you’re up to it, join him. He may even challenge some of you men to a push-up contest. The run would be a great time to go out for an easy jog and talk with him. You’re welcome to bring your sons if they’re 13 or older, but ABSOLUTELY no women are invited. Men only! This way, we don’t have to be as careful what we talk about, and we’ll be perfectly free to be men. This is a pretty awesome mix of pastors, Marines, family, best-selling authors, and friends.